Korean Oriental Medicine (KOM) began to attract worldwide attention when Dongui bogam was inscribed on the Memory of the World Register by UNESCO in 2009. This was the first book of medicine to make its way onto the list. The book is an encyclopedia compiled over 15 years by Heo Jun, chief royal physician to King Seonjo of the Joseon Dynasty, around 1600. Cupping has long been a common folk therapy. Korean Oriental medicine is a relatively new term. 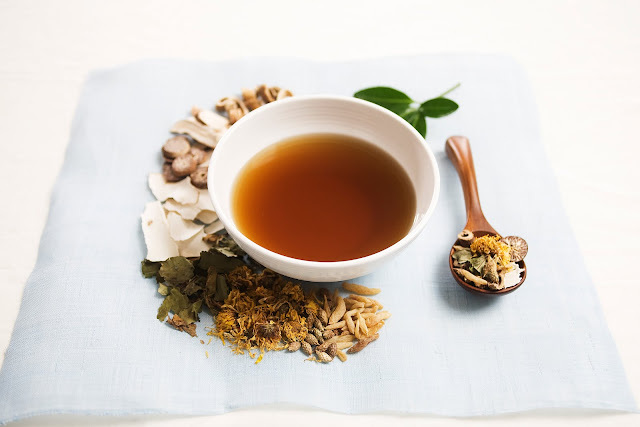 It refers to the medicine native to Korea developed over a period of nearly two thousand years after being grafted with traditional Chinese medicine. It had been called traditional Korean medicine since 1986 until recently. Before that, it was simply referred to as traditional Oriental medicine. Korean Oriental medicine refers to a range of traditional medical practices based on Asian philosophy, which itself was deeply grounded on observation and study of natural phenomena. Korean Oriental medicine sees the human body as a small universe. It is based on the concept of yin and yang, which describes all the objects and phenomena in the universe according to a paradigm of two opposing forces such as the sun and moon, summer and winter, north and south, and male and female. It studies o-haeng, or the five phases or elements comprising the universe: geum (metal and rock), mok (wood), su (water), hwa (fire), and to (earth). It also studies the process of yuk-gi, or the Six Atmospheric Influences, in the realm of natural science, which are pung (wind), han (cold), yeol (heat), hwa (fire), seup (humidity), and jo (dryness). Western medicine focuses on the human body’s internal organs and is based on anatomy and cytology. It values apparent phenomena and treats patients on a statistical basis. Korean Oriental medicine links physiological changes in the human body to changes in natural phenomena and observes the phenomena on gi (gi in Chinese). For example, in spring when everything springs up with new energy, regeneration functions become active. During summer, which is the season of torrential rain, the body is influenced by humidity. In the dry autumn, the body becomes lighter, while in the cold winter, it rejuvenates itself due to the activation of the storage function, after having fallen into a state of idleness. Western medicine tends to find the causes of these phenomena through observation of the structures and functions of specific organs, not by linking the causes to phenomena in nature. Korean Oriental medicine treats a disease on the assumption that the disease stems from discrepancies between the natural phenomena and the states of the human body, while Western medicine treats a disease by identifying the germ that caused the disease. Korean Oriental medicine cures a patient by prescribing herbs found in nature. These are chemically most similar to the human body, with the result that they change the condition of the human body and bolster immunity to the disease, preventing any possibility of germs harming the body. Some foreigners regard herbal medicine simply as health supplements, but this is a misconception arising from poor understanding of Oriental medicine. As explained so far, Korean Oriental medicine and Western medicine take very different approaches with regard to physiology, diagnosis, and treatment. Practitioners of Korean Oriental medicine and Western medicine should, therefore, strive to reconcile the different systems to pursue development in tandem by learning from and benefitting each other. Chinese medicine was introduced in Korea during the Three Kingdoms period (57 B.C.- 668). It assumed its own unique nature as Korean Oriental medicine and has since developed substantially, through the Goryeo Dynasty (918-1392), the Joseon Dynasty (1392- 1910), and up to the present day. It advanced to an especially marked extent during the Joseon period. 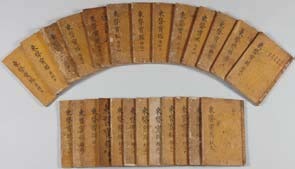 Such medical collections as Hyangyak Jipseongbang (Compilation of Native Korean Prescriptions, 1433) and Uibang Yuchwi (Classified Collection of Medical Prescriptions, 1445) were compiled at the instruction of King Sejong the Great, the fourth monarch of Joseon. These efforts laid the foundation for Korean Oriental medicine to advance based on more independent, in-depth, and extensive research. Later, during the reign of King Seonjo (r. 1567-1608), Heo Jun eventually compiled Dongui bogam. In the compilation, Dr. Heo classified diseases and listed practical prescriptions. The book also reported the findings of his research into folk remedies, including acupuncture, moxibustion, massage, and the health management method called doin. Dongui bogam was eventually brought to China and Japan. It made a tremendous contribution to the development of traditional medicine in East Asia, and its influence is still very strong today. Dongui bogam was the first book on medicine to be inscribed on the Memory of the World Register by UNESCO. Korean Oriental medicine was in its prime when Western medicine was wholly introduced in the waning years of the Joseon Dynasty (1885). It immediately began to fade virtually disappearing during the Japanese colonial period (1910-1945). Even in the mist of this decline, however, Lee Je-ma (1838-1900) produced notable research findings and put forward a new theory of sasang constitutional medicine, or medicine on the basis of the four types of constitutions. He defined the four constitutions, or chejil, based on people’s personalities, diseases they are prone to contract, the foods they like, and psychological traits, and he maintained that treatment should take into account the chejil of a patient for maximum benefit. After a near complete hiatus under Japanese colonial rule, Korean Oriental medicine experienced a renaissance following national liberation in 1945. In the 1970s, Korean Oriental medicine began to spread internationally and was even introduced in the US. The first international academic conferences on Korean Oriental medicine were held. In the US, some celebrities including former First Lady Nancy Reagan became loyal customers of Korean Oriental Medicine Clinic in New York, leading Korean Oriental medicine to spread quickly throughout American society. In 1997, the National Institute of Health of the US recognized acupuncture as a bona fide medical practice. The Pan American Health Organization (PAHO) has sharply increased its financial support for research and development in complementary and alternative therapies. Rising interest in natural therapeutics in Europe has led to increased spending on such non-pharmacological therapies as acupuncture and yoga. In Germany, the government is leading an initiative to collect natural substances in order to develop natural drugs; already over 50,000 medical doctors practice both Western and Oriental medicine; and more notably, acupuncture has become popular and a range of Oriental medicine therapies are being practiced. In Britain, the acupuncture association has thousands of members. The number of foreigners visiting Korean Oriental medicine clinics and hospitals has risen 110.8 percent since 2009. The rising global interest in Korean Oriental medicine has naturally resulted in increased international exchange and cooperation. Colleges of Korean Oriental medicine in South Korea and foreign colleges are engaged in academic exchange and joint research, and the South Korean government supports Korean Oriental medicine hospitals in their efforts to establish their presence overseas. Some hospitals, in fact, are already cooperating with clinics and hospitals in Mongolia, Kazakhstan, Ostrov Sakhalin in Russia, Vietnam, Cambodia, and other countries, where patients are treated free of charge through medical service tours. As Korean Oriental medicine gains increasing recognition around the world, more and more foreign patients seek services at Korean Oriental medicine clinics and hospitals. According to the Ministry of Health and Welfare of Korea, the number of foreigners visiting Korean Oriental medicine clinics and hospitals has risen 110.8 percent since 2009. The largest contingents of foreign patients are Russian and Japanese, and there are also considerable numbers of Americans, Germans, Mongolians, and Chinese. These foreign patients are primarily drawn to Korean Oriental medicine because it does not require surgery: they can instead be healed or cured merely by means of acupuncture, Oriental drugs, and physical therapy. “A friend of mine recommended this hospital. It’s been two or three days, but the symptom has abated significantly already,” says Russian patient George (Георгий), adding, “If I receive this treatment long enough, I don’t think I’ll need surgery.” He says that the Jaseng Hospital of Oriental Medicine, a Korean Oriental medicine hospital specialized in spinal conditions, was recommended by a friend for effective treatment of his spinal problem without surgery. As more foreigners seek services, more hospitals are opening international offices staffed by doctors, nurses, and interpreters to provide consultations and treatments exclusively for foreigners at any time. Understanding of and demand for Oriental medicines including Korean Oriental medicine and traditional Chinese medicine are increasing worldwide, and the South Korean government and academia are spurring the development of new drugs, equipment, and theories in Korean Oriental medicine in order to further advance Korean Oriental medicine and promote it worldwide. You'll find that Dieters Cheating Caps are very popular. They are comparable to the online pills, but many people feel that they are safer. I always teach students in my reiki workshops that Reiki will lead and guide them along their paths if they open themselves up to receiving Reiki guidance. I am a Reiki Teacher, yet the fuller truth is Reiki itself is the Teacher.